APRIL VACATION CLINICS ANNOUNCED ! 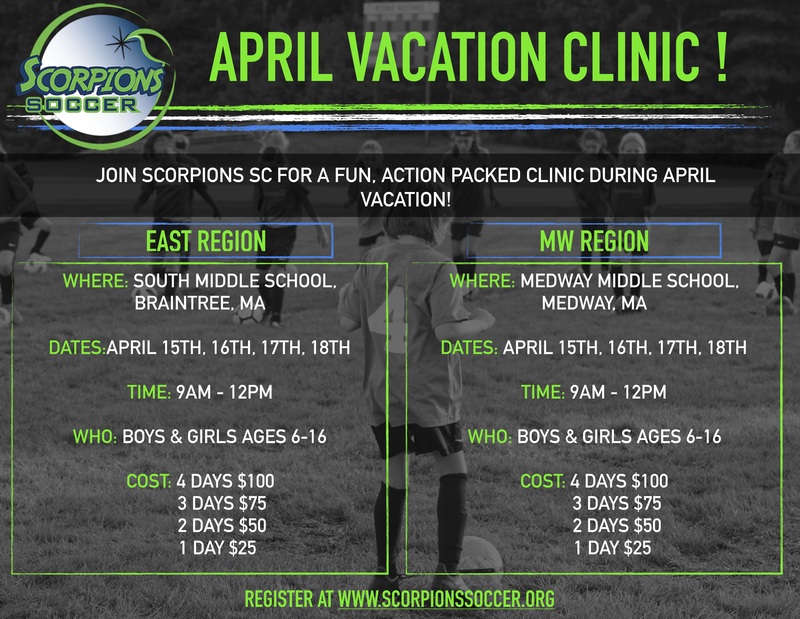 Scorpions East and Metrowest have announced their April Vacation Clinic offerings. Both regions will be offering their clinics Monday April 15th - Thursday April 18th from 9am - 12pm. Our clinics focus on individual ball work, first touch, shooting and finishing, small sided games, all while having tons of fun ! !